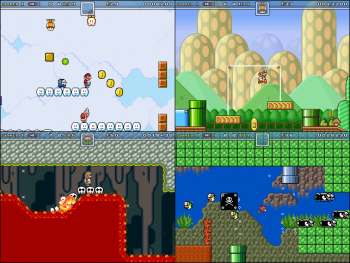 The Fangamer DeeY Engine Exi is an open-source Mario engine made with Game Maker 8 containing features from the classic Mario games. It is similar to Hello Engine 4 and the previous FDeeY Engine. Throw holdable Items, also upwards. DragezeeY Engine VII, the successor to the Fangamer DeeY Engine 6. This page was last edited on 5 July 2014, at 21:05.